Replete with larger-than-life characters, the American adventure in Cuba, Hawaii, and the Philippine Islands in 1898 was a watershed in the United States rise to world power. 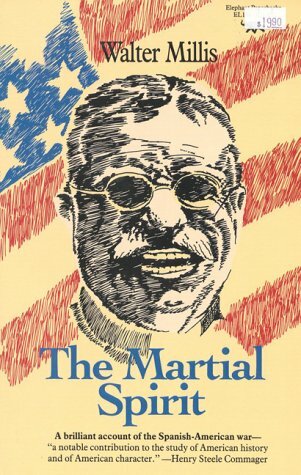 In this superbly written narrative of what we now call the Spanish-American War, Walter Millis analyzes its causes and the motives of the time s leading spirits Teddy Roosevelt, Hearst, Pulitzer, Dewey, Lodge, Hay, and others and recounts the ironies and grotesqueries of the conflict. "A notable contribution to the study of American history and of American character." Henry Steele Commager. "Mr. Millis writes every page well." New York Times. "A mature, intelligent, and exciting work a rare occurrence in historical writing A complete history of the American people at war which is so well contrived and so wittily written that it puts to shame both the efforts of professional historians and the products of those writers who merely seek to amuse without intending to inform." The Nation.